The Panasonic Lumix DMC-FZ100 is a powerful super-zoom camera featuring a 14-Megapixel imaging sensor and huge 24x optical zoom lens. With excellent image quality and performance, it has a lot to offer for the entire family. Read more in our Full Conclusion. Panasonic's latest FZ-series super-zoom, the LUMIX DMC-FZ100 is their new Top-of-the-line camera in this popular category of powerful digicams. This is Panasonic's first FZ series model to feature a Live MOS image sensor, which allows for full 1080p high definition video recording and burst mode shooting at up to 11 frames per second at full resolution or up to 60fps at 2.5-megapixels; thanks in part to a mechanical shutter mechanism. When reviewing the specifications of this model, you can see that Panasonic has carried over many technologies from their G-series Micro Four-Thirds models; like My Color mode for example. The FZ100 is the true replacement to the ever popular DMC-FZ50 from back in 2007, and boasts features like a free angle 3.0" LCD screen, Face Recognition, Power O.I.S. system and a fast F2.8-5.2 24x optical zoom lens with a broad field of view (25-600mm equivalent). 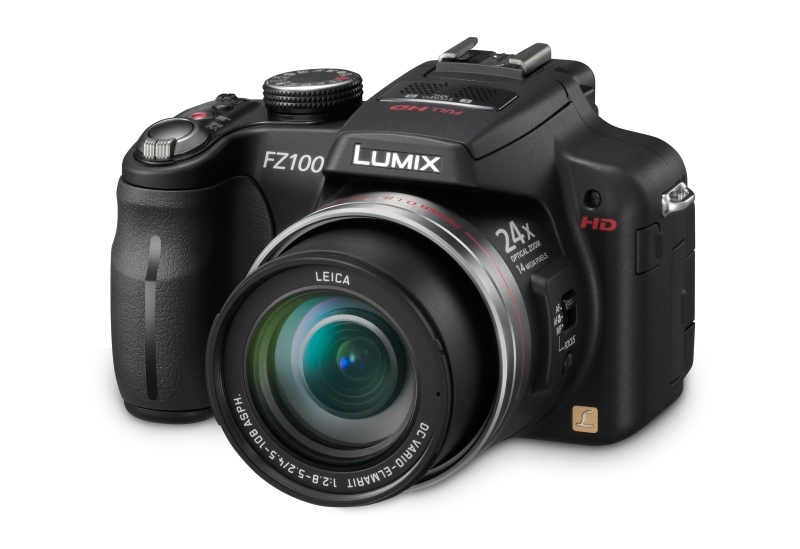 The LUMIX DMC-FZ100 comes in a finished black frame and is slightly larger than recent FZ series models. 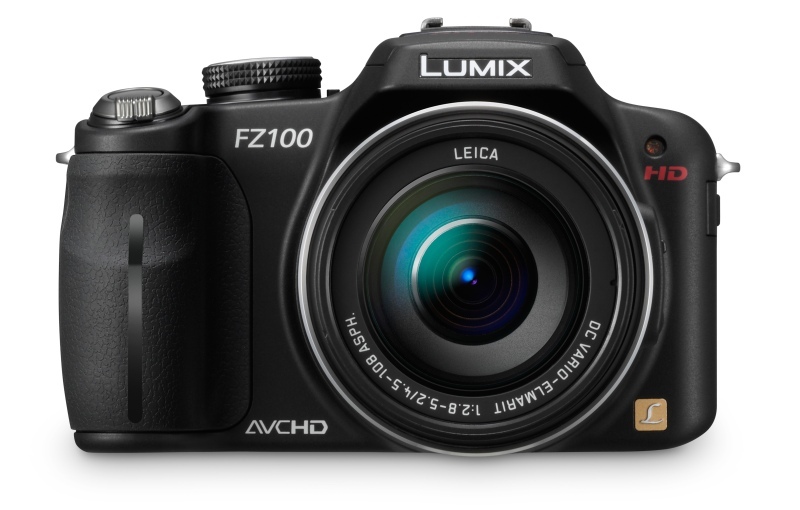 The Panasonic LUMIX DMC-FZ100 is available in black for a suggested retail price of $499.95 US. See our buy box below for the best online pricing.